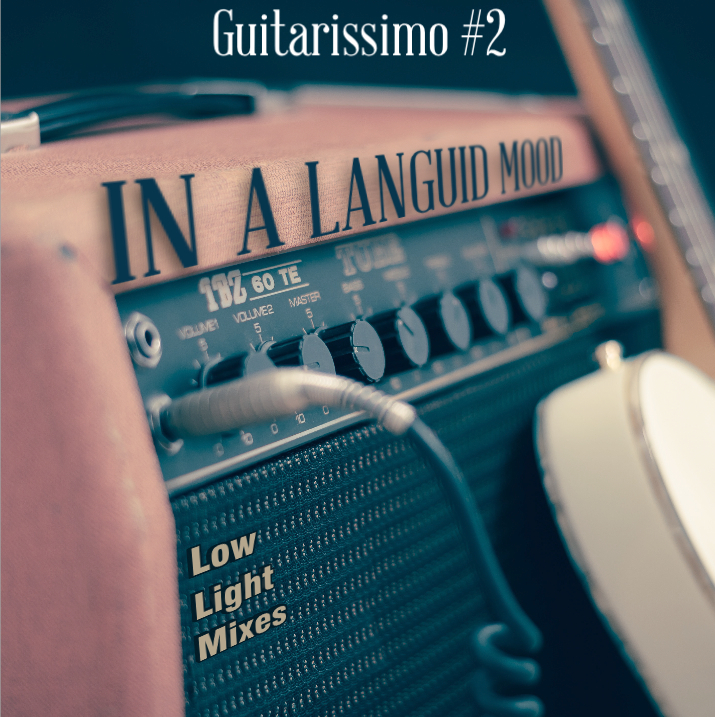 I've been planning on doing a follow up to Guitarisimo, a mix from April of 2017. When several albums from 2018 fit the sound I knew I had to do the mix now. The album that got me started is "Con Todo El Mundo" by Khruangbin. It's one of my favorite records this year. Entirely guitar-based it's sound include surf music, Latin, Thai & Indian music. I highly recommend it. Most of this mix sounds like it grew from that album with a few ambient sidetracks. This is a nice follow up to the Warming Trend mix post a couple of weeks ago because this music sounds like it should be listened to in hot weather. Grab an El Diablo or a Chalino Special and enjoy. I love moody guitar music with a bit of dust and twang. In an earlier mix, Mysterioso, I included a cut by Dead Combo. Their music was new to me. I was interested to learn from a listener that they are from Portugal and have achieved cult status there. That listener directed me to a mix he'd done with a Dead Combo track. I love the mix, you find it here... https://www.mixcloud.com/jorgempaulino/here-it-begins/ His other mixes are excellent as well. 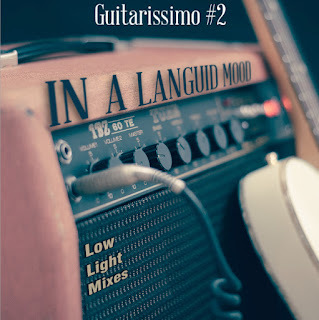 After hearing that mix I just knew I had to create a guitar based mix that was a bit spaghetti western and dusty, moody, twangy with a little Latin feel. The result is this new mix - Guitarissimo. I stole that title from an album by Roxy Music guitarist, Phil Manzanera, who also has a track in the mix. I tried not to steal too much from the "Here It Begins" mix but I just had to use the Yo La Tengo song from that mix in this one too. I really like how this turned out and I hope to do a follow up sometime. I believe I have professed my love for ambient guitar in previous posts here. So a mix like this is no surprise. Just as many of the artists collected in this mix are no surprise. Dirk Serries, Scott Solter, David Tagg, Windy & Carl, Kyle Bobby Dunn, Fripp & Eno - these are all artists that have appeared in many of my mixes over the years. The music here is fairly straightforward - ambient tunes where the guitar is the most prominent instrument. Some of the cuts are beautiful, others a bit darker, but all will easily transport the listener to a favorite meditative place. These are songs that conjure up images of wind blown landscapes, tumbleweeds, sunbleached rocks, dusty roads and heat waves rising off the ground. Of course most of the music in this mix has an ambient/atmospheric feel. I remember the first time I heard Daniel Lanois' use of slide guitar on "Apollo - Atmospheres & Soundtracks", I hated it. I guess I thought of the slide guitar as too close to "country music" which I definitely hated. Well over the years I've come around on the slide guitar, I love it now. I'm still not a big country music fan, though I do have a ton of Johnny Cash recordings. I've come to appreciate the lonely, melancholy feel that can be expressed through twangy, dusty western music. 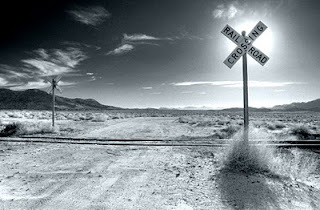 Of course the ultimate in great ambient twang is Ry Cooder's "Paris, TX" soundtrack. That makes an appearance in this mix along with standbys like Lanois, Steve Roach & A Small Good Thing. I was happy to sneak in a piano tune, "Alice & twins" by Japancakes. It just sort of fit with the overall feel & then the slide guitar comes in to make it even more "dusty". 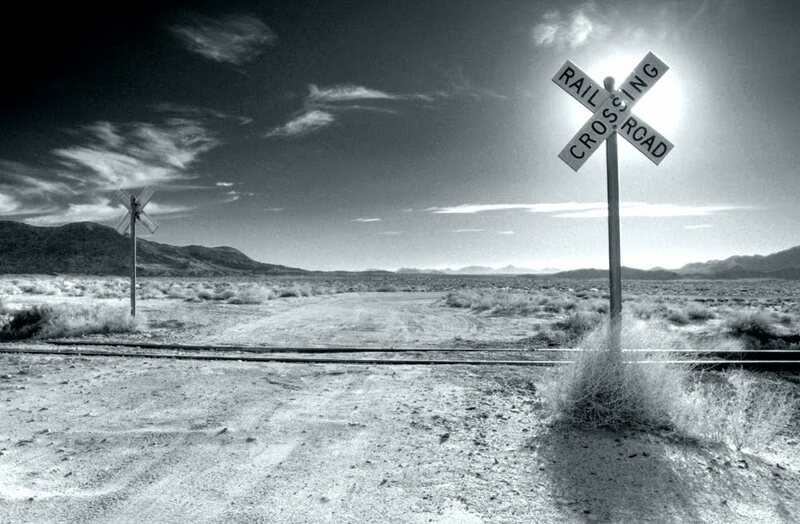 Whether it's the twang of an acoustic guitar, the wail of a harmonica or the ethereal sound of a slide guitar, this mix will drop you off on an abandoned rail line in the middle of nowhere. I am starting to repeat myself. 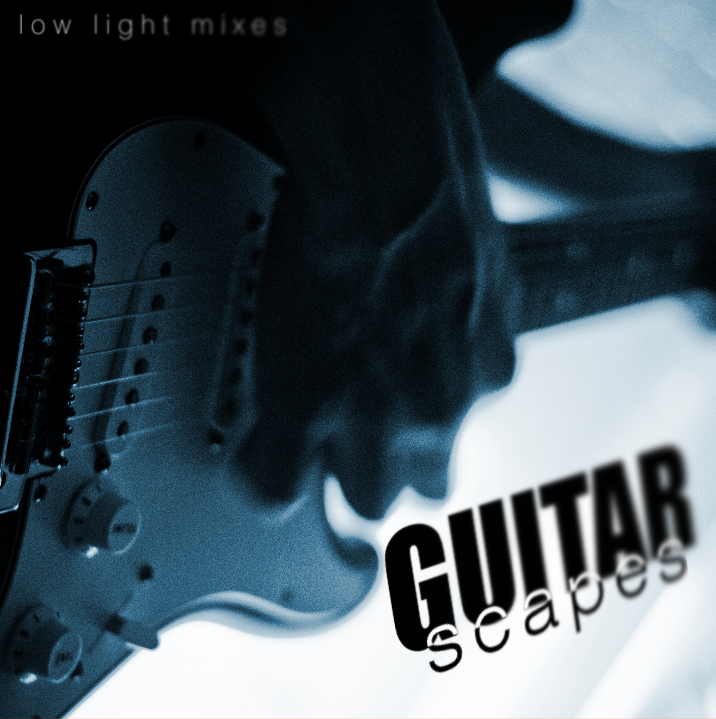 I've done two piano mixes, two string theory mixes, two winter mixes and now a second guitar mix. 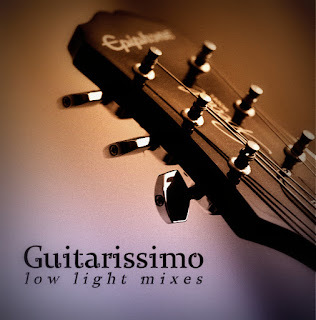 I decided to do a new guitar mix because I seem to have come across a lot of good guitar music lately. All the tracks on this mix are new, from either 2006 or 2007. The music ranges from electric to acoustic. Originally I intended to do a feedback-filled guitarscape like a long Peter Wright song. But in the end the music in this mix is fairly straight forward. Some is ambient, some is pretty, some is droney(is that a word? ).